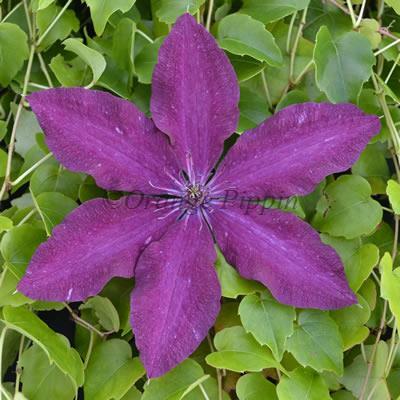 This variety of Clematis is simply superb with the masses of vibrant coloured blooms which are freely produced to stunning effect. Clematis 'Ruutel' has velvety to the touch, large ruby-red and rich pink flowers which can measure up to 16cm across with contrasting red centres from June to September. Clematis 'Ruutel' was raised by Uno Kivistik of Harjumaa, Estonia. The name means "knight".